If none of the official solutions fixed your problem, we have another solution that’s worked for us in the past. It’s a third-party tool called WSUS Offline Update. 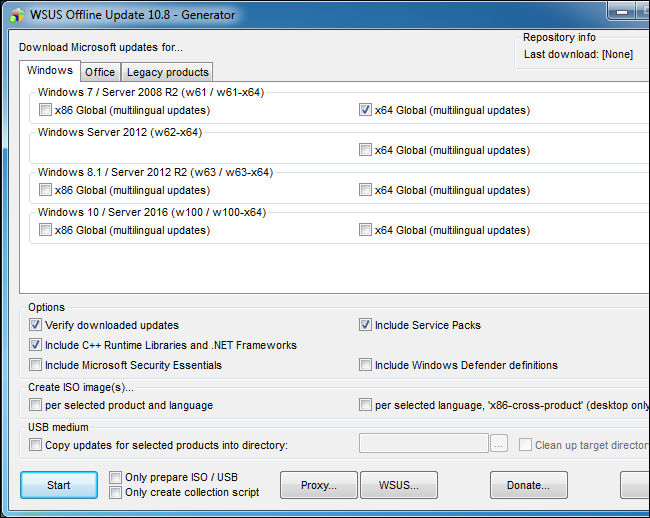 This tool will download available Windows Update packages from Microsoft and install them. Run it once, have it download those updates and install them, and Windows Update should work normally afterwards. This has worked for us in the past when none of the other solutions did. 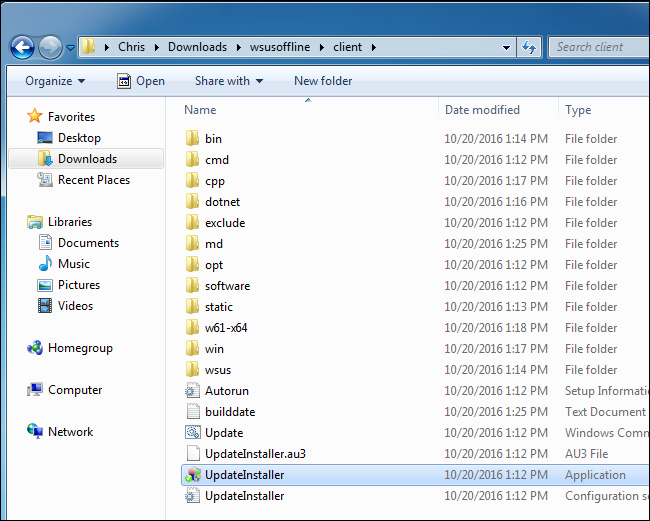 Download WSUS Offline Update, extract it to a folder, and run the UpdateGenerator.exe application. Select the version of Windows you’re using–“x64 Global” if you’re using a 64-bit edition or “x86 Global” if you’re using a 32-bit edition. 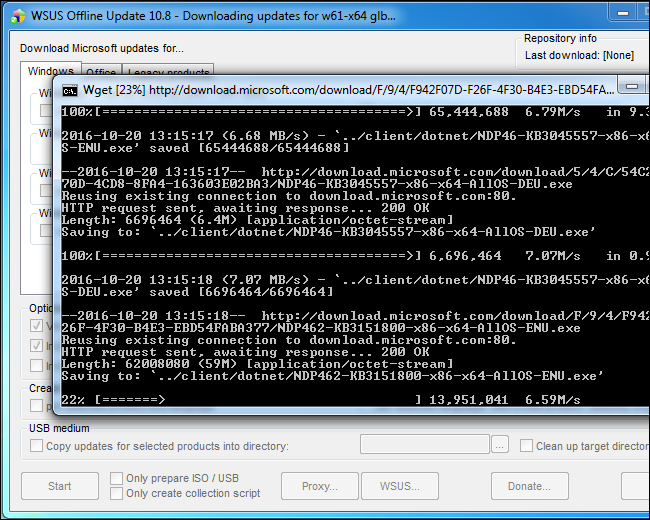 After you do, click “Start” and WSUS Offline Update will download updates. Wait for the updates download. If it’s a fresh install of Windows 7, there will be a lot of updates, so this may take quite a while. It depends on the speed of your Internet connection and how fast Microsoft’s download servers are for you. 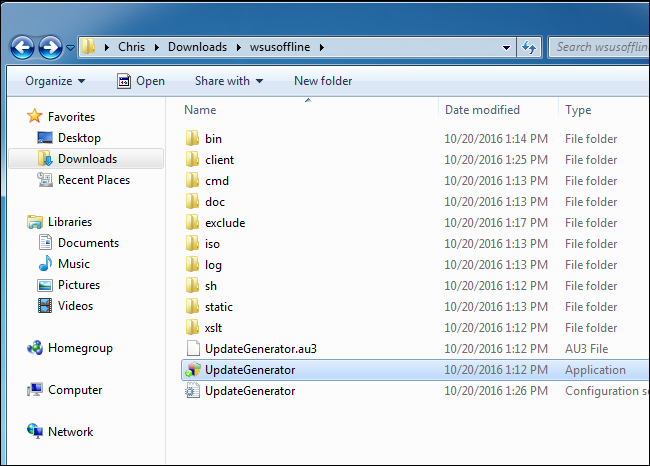 After the updates are done downloading, open the “client” folder in the WSUS Offline folder and run the UpdateInstaller.exe application. Click “Start” to install the downloaded updates. After the tool finishes installing the updates, Windows Update should work normally again. This should hopefully become a bit easier in the future. In October 2016, Microsoft announced that it was making changes to the way Windows 7 and 8.1 are “serviced”, or updated. Microsoft plans to release fewer small updates and more bundles of large updates. It will also begin combining previous updates into a monthly update rollup. This will mean fewer individual updates to install, and updating newly installed Windows 7 systems should become faster over time.